Hi friends! Today I’m sharing a little something new with you. I consider myself very lucky to have made an amazing amount of personal connections with fun, fearless women all over the world. Not only do I call so many of these gals close friends, but I’ve learned something (or many things!) from each and every one of them and I know I can always count on them for encouragement and support. Because I know we all love hearing about women accomplishing pretty cool things out in the world, I want to start sharing their stories with you and hope that you can learn and be inspired by them just like I have been! Photo courtesy of Eat This, Shoot That! 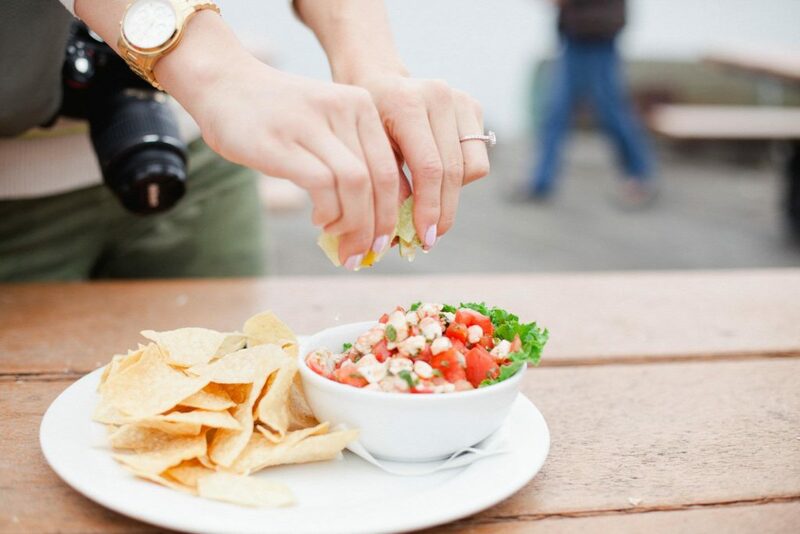 The first lovely lady that I want to tell you about is Tara Jones, founder of “Eat This, Shoot That!” “Eat This, Shoot That!” offers food and wine tours through two up-and-coming neighborhoods of Santa Barbara with an added emphasis on the basics of food and travel photography. So not only do you get to visit some of the best restaurants, wineries, distilleries, etc. 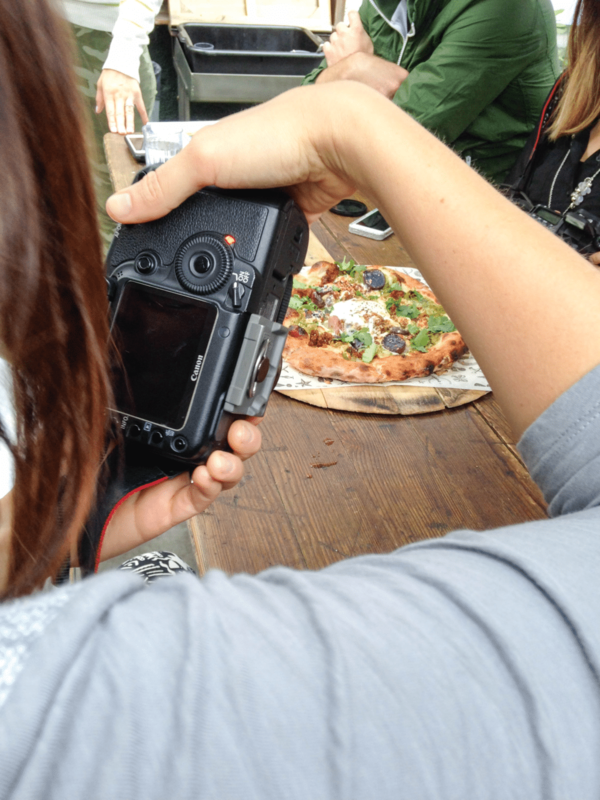 in Santa Barbara and meet the people who make it happen, but you also get to learn how to take better photos of the delicious food and drink you’re enjoying. Tara graduated from Brooks Institute of Photography & Film with a triple major in digital media – photography, graphic design and film, and started her career as a photographer as many do, shooting weddings. After a while, she realized that weddings weren’t her true passion, so she took a job at a boutique advertising firm. Then the recession hit. With the unsettling feeling that she would soon need to find an alternate way to earn an income from her photography, Tara reevaluated her path and her strengths and it became clear to her that one of her true passions, and something she was very good at, was teaching others. Realizing that during uncertain economic times, people would take it upon themselves to perform services like photography, Tara decided to start teaching workshops on the basics of the art, showing people that wished to take things into their own hands the “tools and tricks” of the photography trade. Flare Productions took a turn in its 11 years of operation and Tara began teaching her classes in the Sunken Gardens at the Santa Barbara Courthouse. Tara, being the entrepreneurial woman that she is, soon began thinking of ways to continue to grow as a person and follow her passions. Having always been a people person, Tara knew that one of the best ways to bring folks together is over a big plate of food (amen!) She already knew that she loved to teach and that she loved people. On top of that, one of Tara’s friends had just started a food tour in East Boston, and was encouraging her to do the same in Santa Barbara. 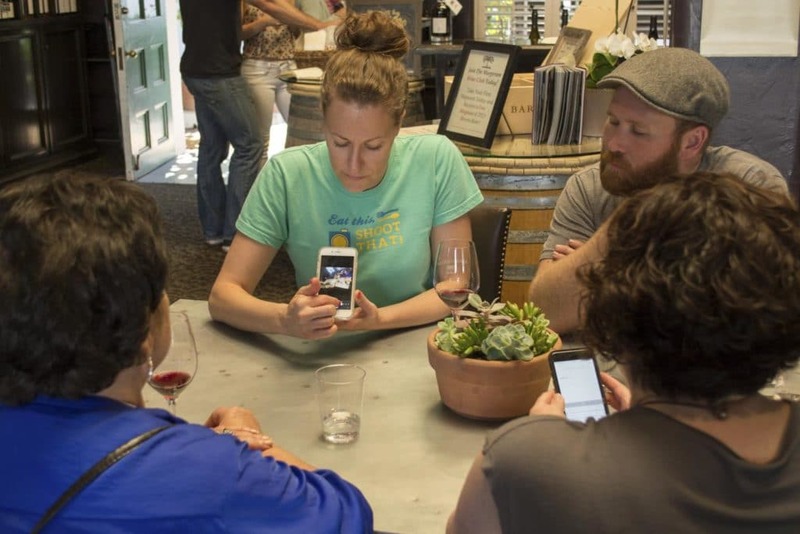 In 2012, Tara began approaching restaurants to see which ones might be interested in participating in a food tour. The idea was simple, we’ll pay you to bring guests to your establishment, and in turn we’ll expose more people to your products and get you more business. As you can imagine, almost none of the restaurants said they did not want to participate. But she didn’t approach just any restaurant; Tara specifically wanted to include restaurants, wineries, etc. in “hidden and “up-and-coming” neighborhoods. Neighborhoods with character, with a story, where they welcome you with open arms. She wanted that personal connection, much like she strived to achieve with her workshops. When “Eat This, Shoot That!” was born, the first tour that was offered led guests through the Funk Zone. This was at a time when the area was barely even established yet, when hardly anyone knew what (or where) the Funk Zone was. As “Eat This, Shoot That!” grew in popularity, so did the Funk Zone. Coincidence? I think not. 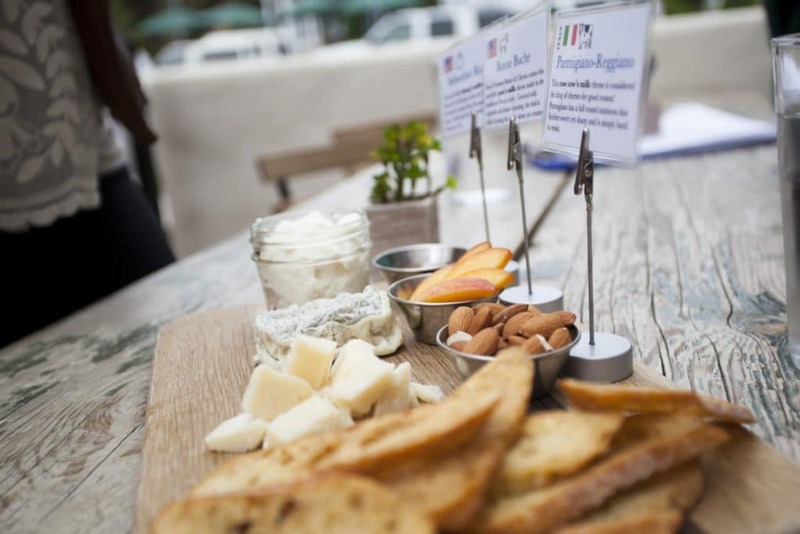 Today’s tour takes guests through many of the more popular establishments in the area, but also to some of the “hidden gems” (tour stops include Figueroa Mountain Brewing Co., Cutler’s Artisan Spirits, Mony’s Taqueria, Lucky Penny, and Riverbench Winery.) But even the more well-known spots have hidden stories and personal touches. For example, at Riverbench Winery, guests get to sample dark chocolate almond toffee from local candy-maker Koval Confections (whom Tara encouraged to start a business as well) and at Mony’s Taqueria, it’s a complete family-run operation with mom and dad cooking while their grown children serve the food. 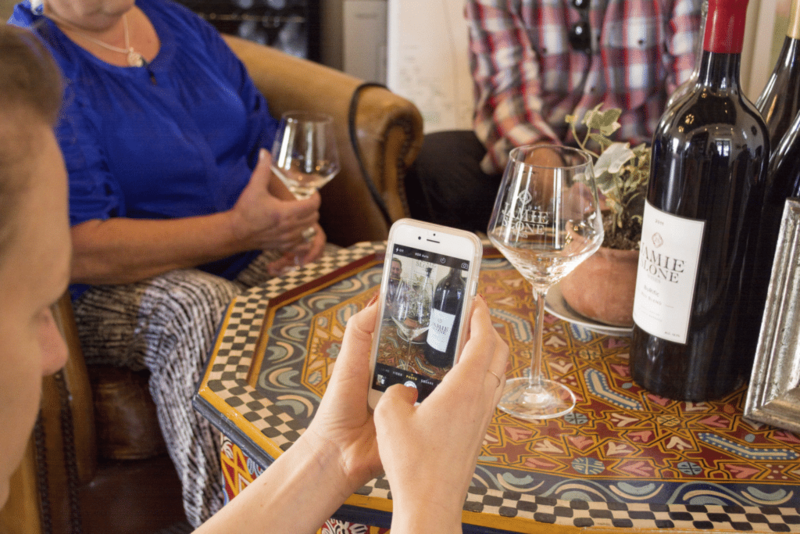 With the success of the “Eat This, Shoot That!” Funk Zone Food & Photo Tour, Tara and her team have recently added a second tour to their resume, the El Paseo Wine & Photo Tour. 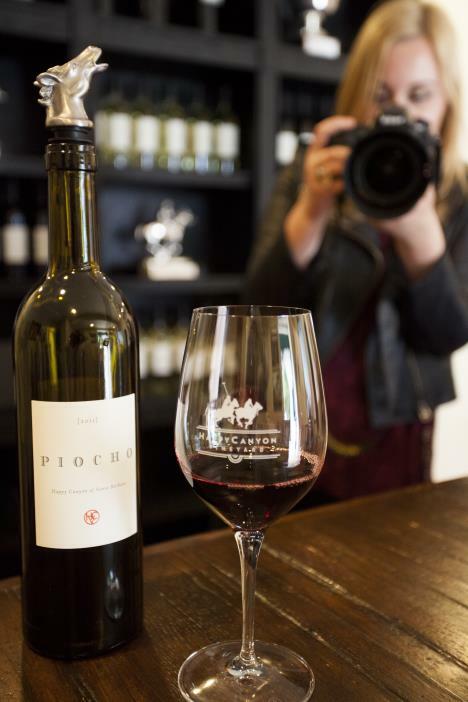 This tour focuses more on Santa Barbara’s rich viticultural offerings, and introduces guests to wines from some of Santa Barbara’s best AVA’s. 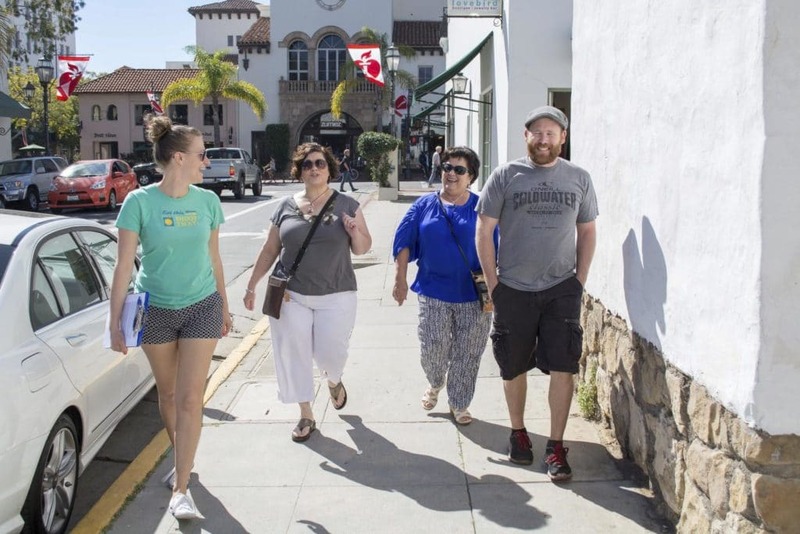 Since the tour takes place in Santa Barbara’s Presidio Neighborhood, there is also an emphasis on the history of the city. Tara was lucky enough to travel a lot growing up, and she says her favorite trips were those where the tour guide became a friend, interacted with the group, and felt like family. 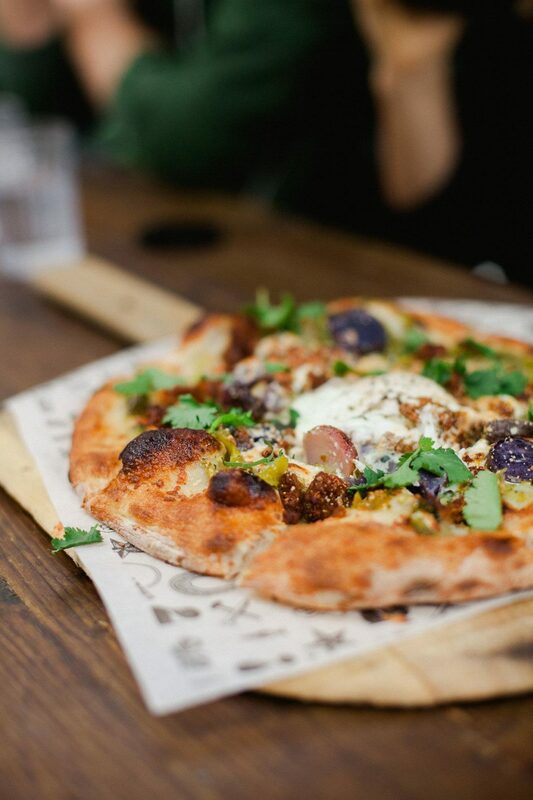 Her goal is to do the same with “Eat This, Shoot That!” – to offer a relaxed, unpretentious environment where it feels like everyone (including the tour guide) is an old friend. It has been so great to get to know Tara and learn more about how she started “Eat This, Shoot That!,” and it’s even better to have a like-minded, entrepreneurial woman that I can turn to in my very own backyard. If there’s nothing else I’ve learned in my blogging career thus far, it’s that a network of strong, empowering women (or men!) are essential for success. I encourage each and every one of you, whether you’re pursuing a blogging career or some other passion, to reach out and build this sort of foundation. Find people who will help you and who you can help in return! 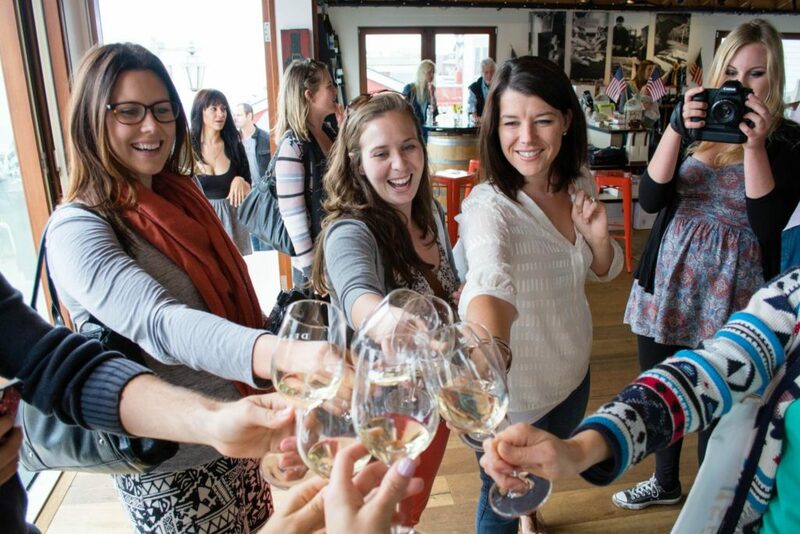 In the meantime, if you’re ever in the Santa Barbara area, be sure to sign up for one of Tara’s tours. I can guarantee you won’t regret it!